With the massive tax changes made at the beginning of 2013, it is hard to believe that many tax laws are still set to expire at the end of the year unless Congress acts. As the year winds down, now is a good time to review some of the key expiring tax provisions and take action if you wish to benefit from them. Direct charitable contributions from your retirement account. If you are age 70½ or older you can make a direct contribution from your tax-deferred retirement account directly to a qualified charitable organization. Benefit:If handled correctly, this pre-tax donation does not have to be reported as income on your tax return. Federal tax credit for energy-saving home improvements. This credit for qualified energy-saving home improvements expires in 2013. Benefit: $500 credit (this is a lifetime credit, not annual) for energy saving purchases. The limit is $200 for windows and skylights. Optional itemized deduction of sales tax in lieu of state income taxes. In low or no income tax states, you may use a sales tax itemized deduction instead of a state income tax deduction. 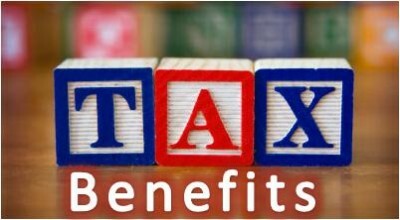 Benefit: If you made major purchases or live in a state with no/low income taxes your itemized deductions could be much higher. Itemized deduction of qualified mortgage insurance premiums. Through 2013 you can continue to deduct your qualified mortgage insurance premiums as an itemized deduction. Benefit: A meaningful increase in your itemized deductions. Qualified higher-education tuition and expense deduction. You can offset the tuition and expense of qualified education using the tuition and fees deduction through 2013. Benefit: Up to a $4,000 income deduction. Planning is required as this deduction may not be used in conjunction with many other educational tax benefits. Numerous small business tax incentives. Many small business tax credits and accelerated depreciation incentives are also scheduled to expire after 2013. These range from bonus depreciation to the expiration of the research and development credit. If your business anticipates using any credits this year, it is best to review your situation. For assistance with this or other tax or accounting matters pleas contact us at 201-947-8081, or email us at info@bergencountycpa.com.